The Department of Information Technology was established in 2007 by a vision to provide reliable IT services to our valued students, faculty, officers and staff. It is indeed a great pleasure to welcome you all to the Department of Information Technology. It's an honour for me being first Director I.T to serve Peoples Medical University. Since then, IT department is one step ahead in providing a door step services to the University. More than anything, it's our association with our students and staff that distinguishes us from other services. How do we consistently deliver great service? Believe it or not, it's by taking care of our team members. By supporting them, we get back great performance, loyalty and dedication to our department and our students. Bottom line, our motive is all about serving you. To ensure your satisfaction and our own as well. To cope with the everyday need of IT infrastructure and internet service to the end users, IT department is continuously managing, upgrading and updating its services. In 2017, University was having only 22Mbps internet bandwidth but now University is having 128Mbps International internet bandwidth for its more than 300 network nodes and above 4,000 users. 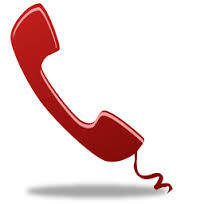 Internet service is provided in all current departments and each and every room of hostels. University has passed through phases to enhance its internet bandwidth with implementation of PERN2 project of Higher Education Commission. University has yearly extended its Network infrastructure using Fiber optic in last two years. High end servers and router have been purchased to run university IT services in these years also. A state of the art and hi-tech Video Conferencing Room has been established with the help of HEC. 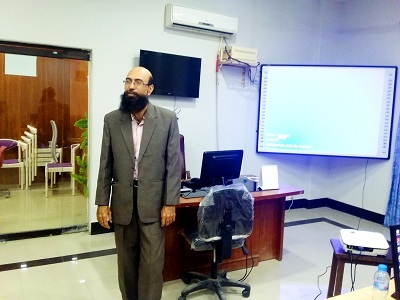 Keeping in view the performance, HEC has selected IT department staff for multiple local trainings in the field of Networks, Anti Plagiarism Software and Video Conferencing. Moreover IT Centre has established in-house security card management and CCTV based security control room. More than 3000 RFID cards have been printed for the staff and the students and most of areas of university have been covered to monitor through security cameras. Currently university is running wired and wireless based internet and network services, at campus and VPN based digital library service, security card system, anti-plagiarism software distribution and management. We are currently at par with the international standards and moving towards highly efficient and reliable IT infrastructure to support research and academics in the university. 3- Teaching IT subject in MBBS, IPRS, IPS, BBION, Dept. of Public Health etc. 5- PUMHS Email IDs for Faculty, Officers, Students & Staff members. I assure that our IT Team members will serve you with best of our capabilities. I wish you success in the future.